Older and sicker patients may be subject to longer wait times within hospital emergency departments before they are admitted and transferred to an acute care bed, according to a report by the Canadian Institute for Health Information. Overall, the report indicated that there are significant variations in the length of time that patients wait for hospital beds after being admitted. In 2005, roughly one-half of patients waited 1.7 hours or less after being admitted, with about 10% being transferred immediately to acute care beds. The remainder waited much longer, with 10% waiting 15.1 hours or more. Some 4% waited more than 24 hours for an acute care bed, according to the report, entitled Large Variations in How long Admitted Patients Wait in Emergency Rooms for Hospital Beds. Those patients “tended to be older and have multiple health problems,” the report says. Along with age, other factors associated with longer waits include “urgency of treatment needs of patient, need for hospitalization, hospital size and type, patient health status, time of day, day of week, and month of year,” says Canadian Institute for Health Information Director of Research and Indicator Development Greg Webster. 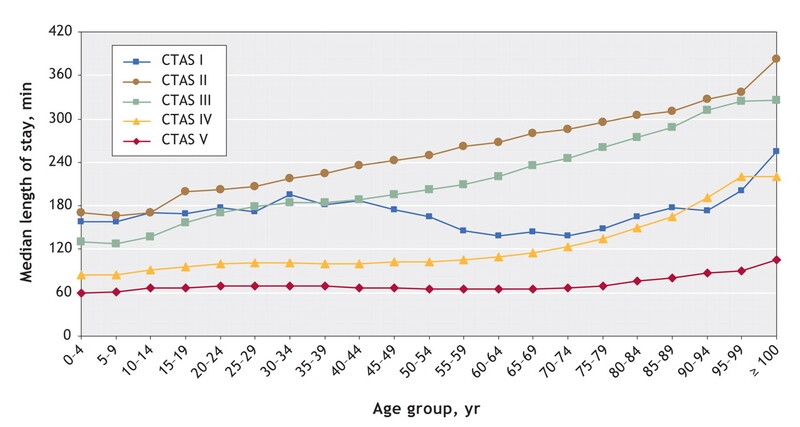 Figure 1: As age of patients visiting emergency wards increases, so does length of stay.